Firstly, it is imperative to point out that no two days at work are the same for a Veterinary Nurse. A day as an operating nurse at our Walnut Tree hospital starts early in the morning, when we come in and start the day with the most crucial job of all. Putting the kettle on! That being done we start to prepare the operating theatres where our patients will be undergoing surgical procedures that day, ensuring that everything is prepared and safe. The oxygen and nitrous oxide levels will be checked, specialist dental suit prepared and the laboratory machines tested. At this time our patients who will be staying with us for the day begin arriving, and we begin the admission process. This typically involves speaking with the owners, running through what will be happening during the day including any risks or concerns and then finally signing the consent form. We often spend time asking about your pets recent behaviour or any medical problems they have been experiencing, and trying our best to re-assure you that they are in safe hands. We will take your pet through to our prep room, take a weight for them and often take a blood sample for pre-operative blood tests or place an intravenous cannula. The blood sample will be run by our in-house machines (also operated by a registered veterinary nurse) and the results shown to a Veterinary Surgeon. Your pet will be settled and made comfortable in either our dedicated canine or feline ward whilst the Vet Nurse calculates and draws up the most suitable Pre-med that the vet has chosen. This usually consists of an anti-anxiety drug and a pain relief combined so that your pet is feeling calm whilst with us and the pain relief has time to work before anything begins. The surgery and prep area is then set up with appropriate anaesthetic equipment, which is all safety checked by our nurses. The nurse and vet who will be working together will discuss your pets specific case before they begin and then change into their surgical scrubs. The patient will then come through into the prep area where they are anaesthetised for surgery. The nurse will assist the vet by holding the patient, raising a vein if needed and keeping your pet calm and reassured through this experience. Once the anaesthetic begins the nurse is responsible for monitoring the vital signs which include: heart rate, pulse rate and quality, respiratory rate and effort, mucous membrane colour, capillary refill time, body temperature and depth of anaesthesia. This information is related to the veterinary surgeon throughout the surgery. The final stage or preparing the surgical patient is to clip and surgically prepare the skin surface. This involves using a special solution containing Chlorhexidine and a concentrated surgical spirit to ensure the area is sterile before surgery begins. The nurse will connect the patient to a specialised anaesthetic monitor in theatre which will display: an ECG of the patients heart, the level of oxygen in the blood, a graphical display of each breath the patient takes, how much oxygen they take in and how much carbon dioxide they breathe out. Combining this with the information the nurse can get from checking the patients vital signs (discussed above) is the safest way of monitoring anaesthesia. Once the surgery is completed a nurse will recover that patient from anaesthesia, again monitoring all vital signs and alerting a Vet to any potential problems. The monitoring continues until they are back on their feet. Temperature, consciousness level, pulses, respiration and the condition of the wound are recorded and acted on. Once your pet is recovered a nurse will call you to arrange a time for them to come home. The surgical team will typically go through this multiple times in a day (cleaning the theatre between each patient), until all of the operations are completed. The surgical theatres are then thoroughly cleaned, the surgical instruments are cleaned and packaged ready to go through an auto-clave (for sterilisation) and the prep room cleaned down. 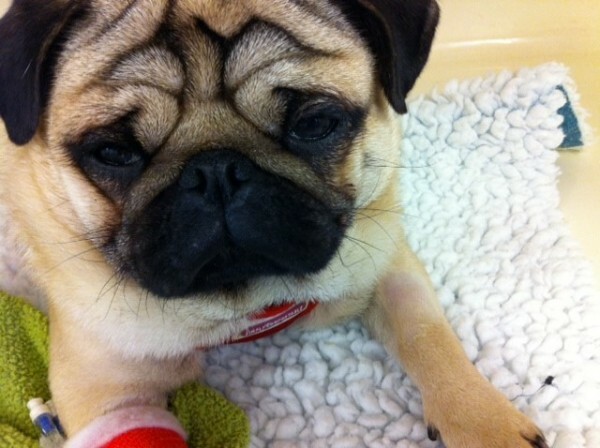 When an owner arrives to collect their pet, a nurse will go through all of the post-operative care in detail. Any questions concerning the aftercare are answered and the patient is returned to the owner. Each day as a Veterinary Nurse is different, no two pets are the same and each one of our patients is treated as an individual.